Living Colour, Nicole Atkins, Sondre Lerche and others fete the Who. 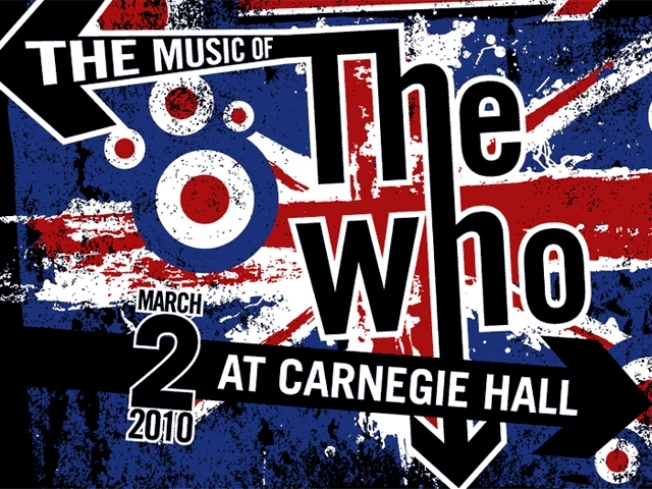 WHO’S WHO: A jam-packed marquee of artists pays tribute to the music of the Who at Carnegie Hall tonight. Among those tackling such enduring classics as “Baba O’Riley” and “Pinball Wizard” are Living Colour, Nicole Atkins, Sondre Lerche, the Smithereens, Bettye Lavette and Robyn Hitchcock; all net proceeds go to Fixing Instruments for Kids in Schools, Music Unites and other deserving non-profits. 8PM. ICONIC LOOK: As Spike Jonze drops his “Where the Wild Things Are” DVD today, he discusses a related project, the fascinating 40-minute documentary about the story’s creator that he co-directed with Lance Bangs, "Tell Them Anything You Want: A Portrait of Maurice Sendak." Author/PC embodiment John Hodgman moderates the chat between Jonze and Bangs at the Union Square Barnes & Noble.7PM. MISERABLE NOW: And speaking of documentaries, 2004’s “Is it Really So Strange” is the sketch of an unlikely subculture: the massive and growing contingent of Morrissey fans among East L.A. Latino youths. Filmmaker William E. Jones makes the connection between the Smiths’ blue-collar background and that of teen working-class Angelenos, with surprising, eye-opening results. See it at Anthology Film Archives,8PM.